This has never happened before.... I'm almost embarrassed actually... but, I think I need to hit Market Basket on the way home. 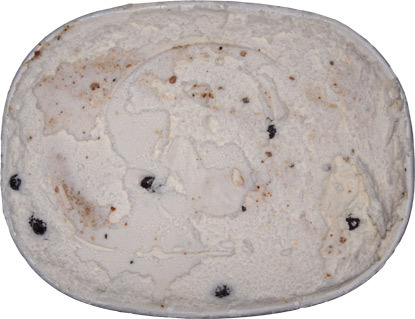 You see, this ice cream is so fantastically unique and different that I need to go back to the store and grab up the rest of the containers so I can enjoy this one all year long. I doubt everyone will love this one, but I do, and I'm almost positive I'm going to be really cranky when it's all gone. Like most Turkey Hill Limited Edition flavors, this one goes outside of their mainstream comfort zone and delivers us something unique. That said, this one is way different even among it's seasonal peers. Late last night during a commercial break, I ran downstairs to grab a spoonful of TH Pretzel. I cracked open the container and was mesmerized by the potential awesomeness of this ice cream. I also feared how hard I would fall if it turned out to be terrible. I grabbed the lid and cleaned it off to get my first sample. Oh yeah, I don't taste brown sugar at all but I do taste pretzel and I haven't even hit the swirl or the chunks or anything yet. The base is nothing but a salty awesome reminder of the mighty pretzel cone (something I've never seen outside of Pennsylvania). It's so salty! Wow, I'm dumbfounded and shocked. I don't know what else to do except keep scooping. My "tiny taste" quickly turned into a full serving. I struck a vein of pretzel swirl and I'm in pretzel crumb heaven. It's like being a little kid again. This swirl is amazing, just amazing. How can it still be fresh and dry? Some magically wonderful person has crushed pretzel cones into a swirl that will not fail. I don't mean to be repetitive, but how in the world have they pulled this off? I've said before that Turkey Hill is all kinds of main stream goodness and this just proves it again. Check out all the chocolate covered pretzel pieces. I tried avoiding them and you can't because they are literally everywhere. The strange thing is that while the swirl was perfect, the pretzel bits strike me as inconsistently crunchy. I only had a few of them, so this might change when I go back for the second scoop. On Second Scoop: Hi Y'all. I'm back in reality now. I think I got a little carried away with my first taste testing. I've been craving a pretzel cone for 15 or 20 years now and eating this last night was like being a kid again. There has to be some food that reminds you of your childhood and this was it for me. Pretzel cones are something I've built up in my head and I guess I went a little crazy. Is this one still immensely unique? Oh yeah, no doubt about it. Just look at this pretzel swirl! That's pretzel crumbs at it's finest. This is a huge swirl epicenter of them too. Every salty bite brings me back to late nights playing Nintendo with my big brother in my grandparents basement. We'd be drinking 7up and Coke while blowing through a big bag of hard pretzels during marathon sessions of playing R.C. PRO-AM, Base Wars, and Zelda. Those are the kinds of good times you never forget. So how are the chocolate chunks holding up? Pretty good actually. They are a bit weird if you eat them on their own because they aren't chocolate covered pretzels, they are chocolate covered pretzel crumbs. This might trick your brain into thinking that they aren't totally fresh, but that's just how pretzel cones taste. I took the picture above before realizing that the huge chunk on the right is actually just all chocolate (and quite tasty). Will I have this one again tomorrow despite having 5 more Wonka flavors to try? Yeah, it's possible. My only real fear for this one is that it's definitely going to be too much for some people. If you can sit and eat 3 or 4 servings of pretzels, you'll love this. If you think pretzels are overpowering after just a few of them, stay clear of this flavor. Thanks for the trip down memory lane Turkey Hill, it was greatly appreciated. Dubba's Note: This is technically the March 2012 Flavor of the month.You probably won't find it at this point, but make sure you look for it when it comes back in June 2013 --- I had it again in 2013 and I still like it, but I'd love to seem them experiment more with different base flavors to see what other kind of trouble they can cause ---- No pretzel flavor for 2014, sorry! I knew this one would be good! I love pretzels so I can't wait to try it. I'm literally drooling right now. Mission search all grocery stores in a 50 mile radius begins. ahhhhh I just went on their website and it's no longer the current limited edition flavor and got moved to the flavors you might still find section. STOCK UP DUBBA! As usual, you've got me intrigued. Gonna have to look for this one when I go to Kroger this weekend. Hi, I saw that the August Turkey Hill limited edition flavor is Deep Dark Chocolate. Have you ever had Turkey Hill Death By Chocolate"? That flavor was dioscontinued, but it was the best flavor I ever had. I wish they rereleased Death by Chocolate, or at least made that the August limited edition flavor. Thanks for the review, Dubba! Glad you liked the new flavor. 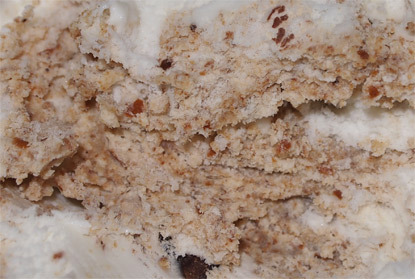 If you like our Pennsylvania Dutch Pretzel, you might like our newest Limited Edition Flavor - Fried Ice Cream. Among those who've sampled it, the crumbly tostada pieces are a highlight! I am so trying Deep Dark Chocolate when it comes out! I thought the newest limited edition flavor is southern lemon pie. I can't wait to try that. The fried ice cream was very good. 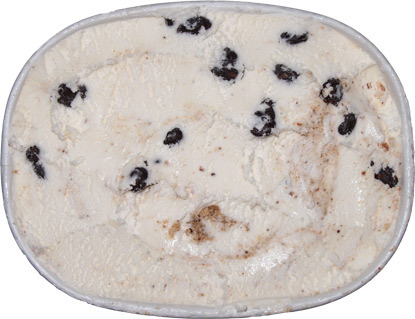 Dubs I just saw TH Fired Ice Cream when I was at Shop Rite last night looking for this one! I have to go back Sun and get it!!! 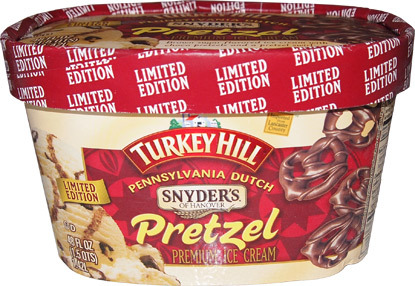 Any chance of a re-release date for the PA Dutch pretzel ice cream?? My entire family absolutely loved it!! They really need to bring this flavor back, it's the best ice cream I've ever had! I had to come check out your review after trying B&J's Glampfire Trail Mix (no comparison to this TH flavor! ).